The Nigerian Navy (NN) said it has acquired 179 high-speed boats in the last one year to checkmate activities of pirates and oil theft in the Nigerian maritime domain.It said six out of the boats, which are fast patrol boats, recently acquired from France and is billed to be launched in the Nigerian waters after its formal commissioning, which is expected soon. 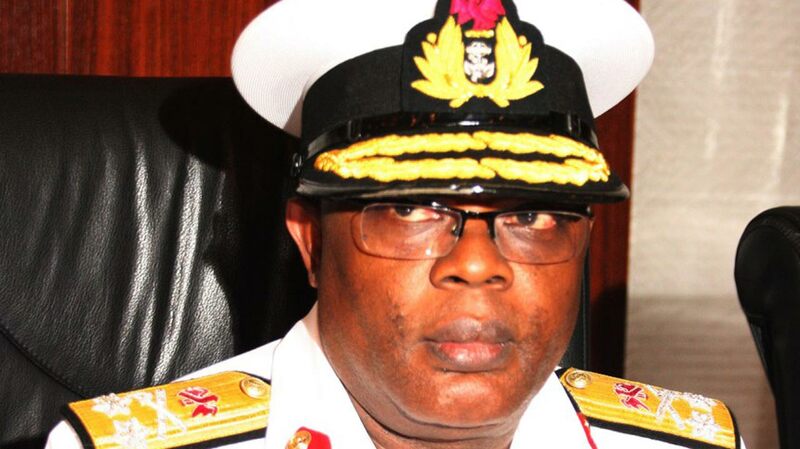 Briefing journalists in Abuja, yesterday, Chief of Naval Staff (CNS), Rear Admiral Ibok Ete-Ibas, also disclosed that 42 vessels were arrested in connection with oil theft and other unwholesome practices in the Nigerian maritime domain. Ibas, represented by the Chief of Naval Transformation, Naval Headquarters, Rear Admiral Begroy Ibe-Enwo, said the briefing was to acquaint the public with the focus of the Nigerian Navy and its activities, especially those programmed to mark the 62nd anniversary celebration scheduled to take place between May 23 and June 1. He added that the Nigerian Navy personnel are involved in various Internal Security operations in the coastal states of the Federation and some other states including Borno, Yobe, Adamawa and Plateau states amongst others, adding that the Nigerian Navy was aware of the current state of sooth over Port Harcourt and environs. According to him, the desire of the Chief of Naval Staff, Vice Admiral Ibok Ete-Ibas was to have an impressive naval fleet of operational ships, manned with competent and motivated personnel. The Nigerian Navy has a huge challenge of tackling the spate of piracy on Nigerian waters, as the situation appears unabated.Last month, pirates off the coast of Nigeria took about 12 seafarers, manning the FWN Rapide general cargo vessel. Few weeks later, the company ForestWave, confirmed that 11 of the crewmembers were alive and together. There has been no report to confirm the release at the moment. The acquisition of the 179 high-speed boats is expected to aid the operations of the Nigerian Navy and positions Nigeria properly in the comity of maritime nations.The International Maritime Bureau (IMB) had reported a rise in armed attacks against ships in the Gulf of Guinea since the beginning of this year. There have been 22 incidents recorded in Nigeria alone, of 66 reported incidents globally in the first quarter of this year.Also, the Gulf of Guinea accounts for 29 incidents in the first quarter of 2018, more than 40 per cent of the global total. Of the 114 seafarers captured worldwide, all but one was in this region.